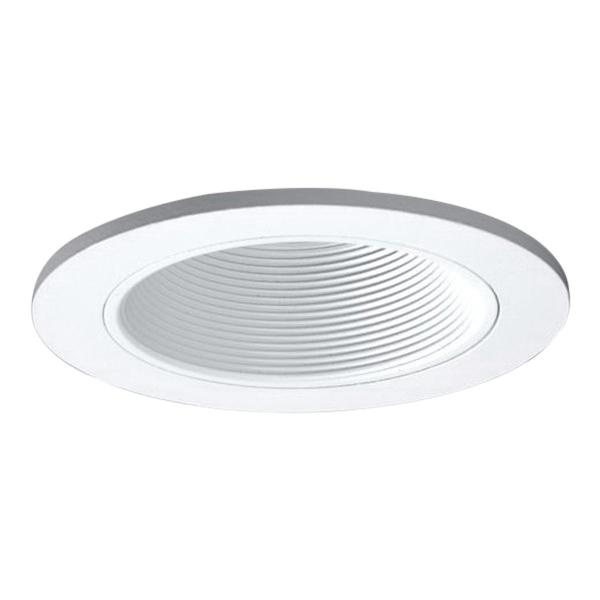 Halo 3-Inch Round adjustable baffle trim in white color, features die-cast aluminum construction. It accommodates 50-Watt MR16 lamp that has voltage rating of 12-Volts. Trim has outer diameter of 4-1/4-inches.